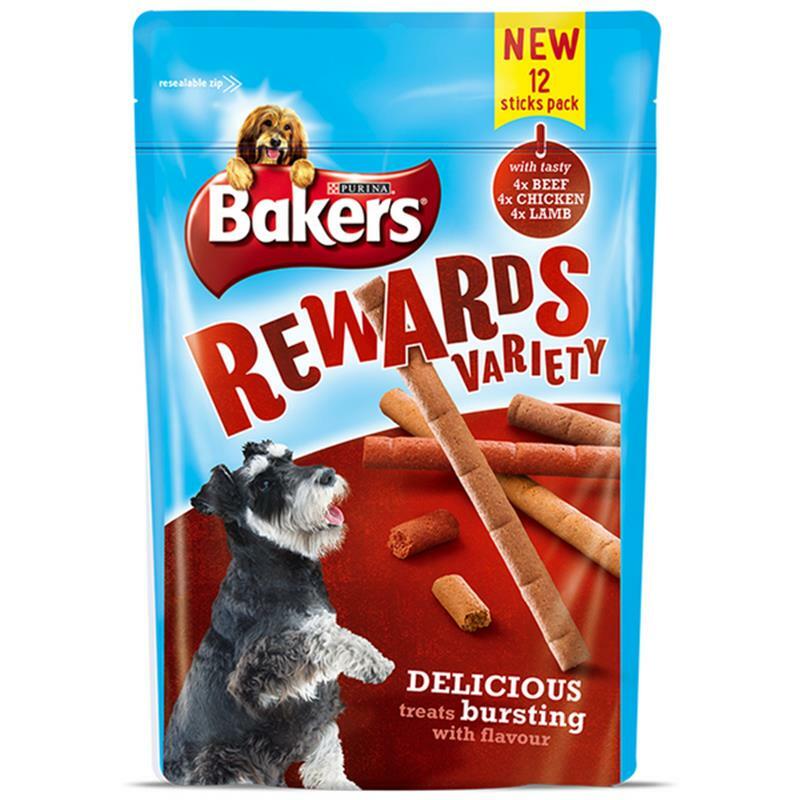 Bakers Rewards Variety Treats - 12 Sticks. Bakers Rewards are a delicious selection of snacks packed full of meatiness and bursting with flavour. Perfect for training or taking with you on walks, the ideal treats for helping you train your dog. Flavours: 4 x beef, 4 x chicken and 4 x lamb.